Hey everyone I'll be dubbing a scene from RWBY Volume 5 Episode 3. Specifically, the scene where Oscar/Ozpin sits down with Team RNJR and Qrow and explains his situation to them. I already casted myself as Oscar. Here's a link to the scene, if the video isn't working here! 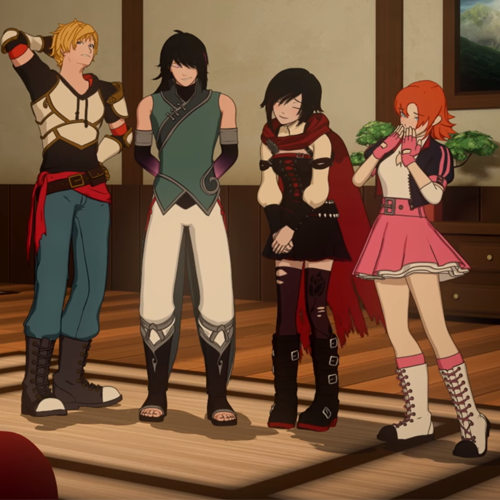 This Casting Call is just for this specific scene, but if you are cast, I may contact you to do other RWBY-related works like comic dubs or other Fandubs. Please be able to send in your lines on time! This scene honestly isn't too long so you don't have to record too much. If something does come up, please message me so we can work something out. Think as them as reference. You don't have to sound like the VA, you have to sound like the character, so feel free to put your own spin on it. It's always important to enjoy what you're doing! 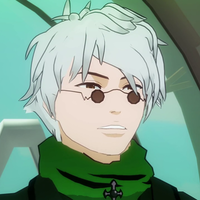 Ozpin is was the headmaster of Beacon Academy. He acted as a mentor and leader for all the students, until his "death" at the Fall of Beacon. Since then, he revealed that he's been cursed by the gods, and is forced to reincarnate through individuals with mindsets similar to his own, with Oscar as his latest reincarnation. Voice Description: I'm looking for a medium-low adult voice, with a sort of sophisticated tone to it. But right now they're still children, so why not let them play the part? After all, it isn't a role they'll have forever. Ruby Rose is a former student of Beacon Academy and the main protagonist of RWBY. Ruby's weapon of choice is her High-Caliber Sniper-Scythe known as Crescent Rose. She has a very optimistic and bubbly personality that manages to keep everybody around her happy. Jaune Arc is a former student at Beacon Academy, the leader and one of the remaining members of Team JNPR, and a member of Team RNJR. His weapon of choice is Crocea Mors, which is a sword and a sheath that can expand into a shield. Well the name's Jaune Arc. Short, sweet, rolls off the tongue, ladies love it. Then just go talk to her. No pickup lines, no suave moves, just be yourself. I've heard that's the way to go. Nora Valkyrie is a former student at Beacon Academy, a member of Team RNJR and one of the remaining members of Team JNPR. Her weapon of choice is Magnchild. a hammer that can transform into a grenade launcher. Qrow Branwen (pronounced "Crow") is the uncle of Yang Xiao Long and honorary uncle of Ruby Rose. He is a former teacher at Signal Academy. Qrow is a rude, blunt, cynical, sometimes crass, yet cool-headed and nonchalant individual. You know what you really are? A bunch of sellouts, just like your boss. You think they're scared of your little ships? I've been out there and seen the things she's made, and let me tell you, they are fear.